Late breaking trials are typically first-time international presentations of the primary endpoint or important secondary endpoint results of prospective multi-centre randomized trials or presentations of large-scale, impactful single-center or multicenter registries, first-in-man experiences with novel devices or drugs, and important follow-up data from major randomized trials. For all Abstracts which are accepted for presentation at the EACTS Annual Meeting, the full paper must then be submitted to the European Journal of Cardio-Thoracic Surgery or Interactive CardioVascular and Thoracic Surgery, before the meeting. Abstracts will not be accepted unless they are submitted according to the format and instructions described previously, and submitted using the online system no later than 18 August 2019. For abstracts accepted from the Late Breaking Clinical Trial, submission of your full paper to EJCTS is optional, but will be welcomed. 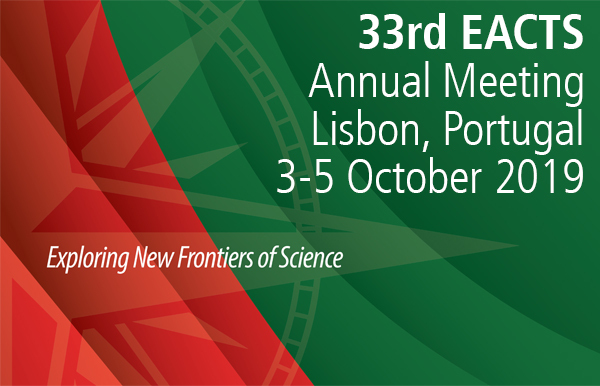 Authors will be notified in writing by September 2019 if the EACTS Programme Committee has accepted their abstract(s). All sources of funding for work should be acknowledged in the disclosure statement, as should all institutional affiliations of the authors (including corporate appointments). Other kinds of associations, such as consultancies, stock ownership or other equity interests or patent licensing arrangements should be disclosed. The Editor reserves the right to reject manuscripts that do not comply with the above-mentioned requirements. The author will be held responsible for false statements or for failure to fulfill the above-mentioned requirements.